Jesus teaches the disciples not to fear those who can kill the body only, but he who can kill the soul. Living in fear rather than by faith when life breaks bad is the genesis of the death of the soul. 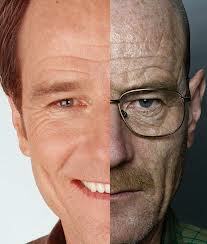 When Walter White’s life broke bad, he broke in fear and began filleting his soul. 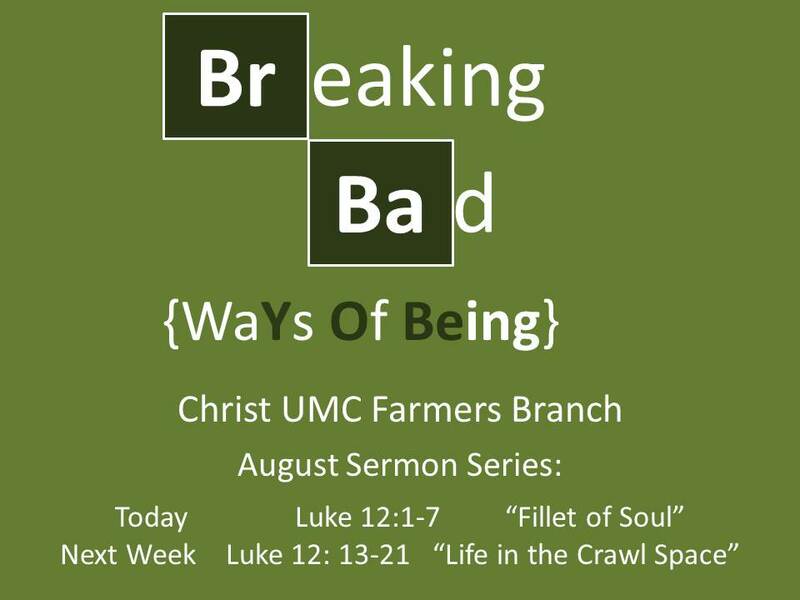 This entry was posted in Faith Shots, Film Shots, Scattershooting, Sermons and tagged autism, Breaking Bad, Breaking Bad Sermon series, Christian preaching, faith, faith and autism, faith and film preaching, faith and special needs, fear, Gospel of Luke, Jesus teaching, life challenges, life trials, living with autism, Luke 12, preaching and special needs, religious hypocrisy, soul, United Methodist Church, Walter White. Bookmark the permalink.